In this program, tree growth will be monitored from around the world and create the first observational information of how trees respond to climate change! Students will measure local tree growth and compare their findings to Smithsonian research and with those of other students worldwide. By signing up you receive a tree banding kit for free that includes everything you need to get started. For every kit, there are ten tree bands or dendrometers that need to be prepared and installed on ten local trees that can be measured for the project. 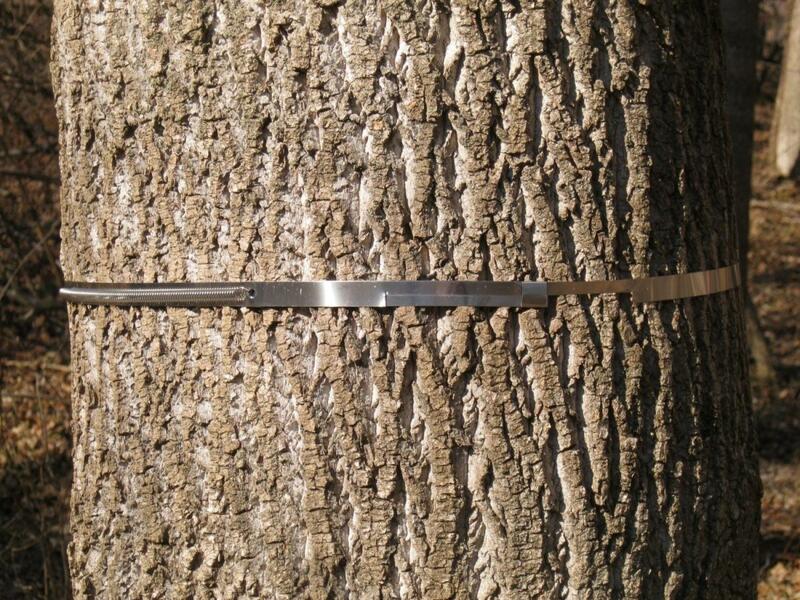 After installation of the dendrometers, allow four weeks for the bands to settle and then when the trees are ready, you will use digital calipers to measure the gap in the band, which is how much the tree has grown. For the project we ask two measurements in the spring and two in the fall to help us monitor the growing season but taking more measurements give us more data to analyze!